The commemoration of the discovery or rather a rediscovery of America by Christopher Columbus is celebrated as Columbus Day across the whole nation in October. This iconic explorer landed on the land of America in October 1492 and since then this day is observed in his name. In the year 1937, it became a federal holiday and since 1970 it is celebrated on the second Monday of October. To add in the celebration of this day, CanadaVetExpress has a festive offer for all the new pet parents and the existing customers. You can order the prime brands of your choice at a discount of 15% on CanadaVetExpress during this whole week. We will make sure that your experience with CVE be an extra saving one with this offer. CanadaVetExpress- What our online store holds? CanadaVetExpress has been of the most sought after pet supplies store for more than a year now. It is overwhelming to get the amount of trust and response that we have received in such a short span of time. The reasons that have made CanadaVetExpress a trustable and reliable online pet care store is the availability of the best brands at discounted prices, timely delivery and lots of offers. We provide an exclusive range of products for dogs, cats and birds. 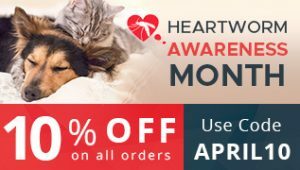 These products are classified into various categories such as flea and tick, wormers, joint care, heartworm control and pet health. 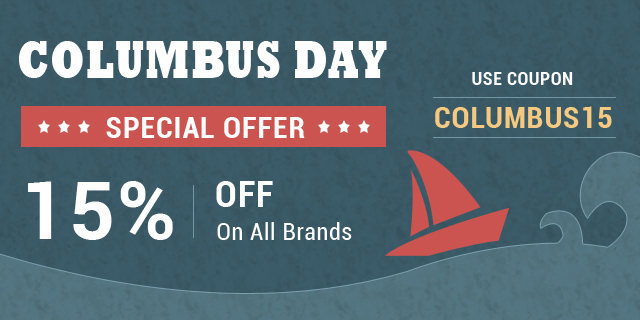 Columbus Day sale offers the prime brands belonging to these categories at super affordable rates. Grab this offer to stock on the fall’s requirements of your canines, felines and birds. What are the benefits of buying pet supplies availing Columbus Day Sale? If you have not bought stuff from our online store, this might be the most beneficial opportunity to scan our wide range of products that could be added to the cart at discounted rates. This discount offer ensures savings of extra 15% on already discounted prices of the popular brands. Thus, you can save big on products like Frontline Plus and Heartgard Plus with this sale. Unlike other online sellers, we do not charge for shipping any orders, be it of the lowest cost. Hence, you save here too! In all, Columbus Day sale may be your chance to stock on autumn supplies for your canines and felines at much less expenditure than usual. Share the news with your pet loving friends as it is always our try to reach the maximum number of pet owners to make the pet parenting affordable. Use coupon code: CVE15OFF while checking out. NEXT POST Next post: Planning To Get One More Kitty? Tips And Concerns To Deliberate!